Updates to Alan Douglas' profile since your last visit are highlighted in yellow. I graduated from Tech in 1993, then I worked for Drs Hudson and Talmage until practice was sold to Baptist Hospital in 1995. Then I moved to Nashville to work for Baptist Hosp. 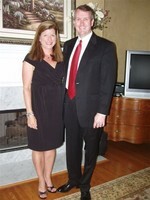 In 1998, I met my wife (Cathy) and went to Belmont to get my MBA in 1999. Reese our Son was born in 2001. In 2001, I went to work for HCA - Hospital Corporation of America in Internal Audit. In 2005, I moved to Birmingham to take job with HealthSouth to clean up large accounting fraud. 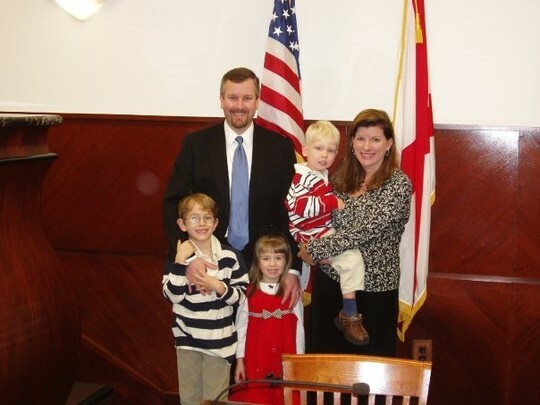 In 2006, Cathy and I went to St. Petersburg Russia to adopt our youngest two children (Jenny and Ethan). In July of 2008, I took a job with Renal Advantage (Dialysis) so I could move my family back to Nashville. Summary....Marriage, kids, work, church, and vacations all over the world. What else is there? Lots of great memories of Cookeville. Wished I could move back! Playing tennis with classmates at the Cookeville Country Club all night until 4 AM on weekends after we dropped the girlfriends off. Parked in the teachers parking lot for three years and never got caught. Tutoring the late Richard Dow in Math. He was really a great guy with such a tragic ending. 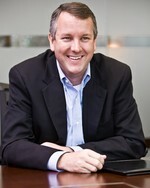 Alan Douglas Dickey Douglas has a birthday today.